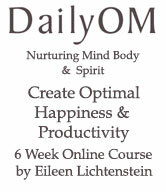 Inner strength and being centered are keys to life and business success, and Eileen Lichtenstein has specialized for 20 years in personal development coaching and training, including stress reduction management, communicating effectively and career issues. She helps people to access the power already within to bring about the balance needed to achieve their goals. Balance brings power to the process of decision-making! With a background that includes innovative training, speaking, coaching and bio-feedback, she offers individuals and groups mind/body modalities and coaching strategies to facilitate success. She is based in Uniondale, Westbury Long Island, NY and conducts one:one coaching and group trainings via video skype and webinars. Eileen is the founder and director of www.balanceandpower.com. 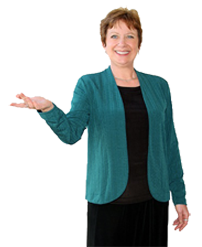 Eileen may include yoga adaptations, EFT (Emotional Freedom Techniques, tapping), meditation and breath implementation in her training and coaching. Melding wellness and stress management techniques, she has worked within medical, educational and corporate environments. What's Next? For Baby Boomers and those seeking Career Reinvention. Contact Eileen today for a Free Consultation. "Eileen Lichtenstein's wealth of experience and knowledge of executive coaching combined with the Emotional Freedom Technique (EFT) have created a positive life energy within me to help get on the road to achieving my goals and dreams. Thanks Eileen!" "Eileen has drawn me back to my center. Now I am feeling in control of my choices. It's a wonderful feeling to enjoy the present moment." Margolin, Weiner and Evens, Ltd.
Eileen Lichtenstein, MS. Ed. 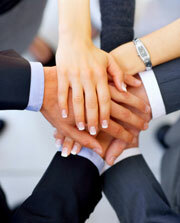 believes inner strength and being centered are keys to life and business management. She offers innovative training, speaking and coaching in the realm of stress management/reduction and work-life balance for individuals and groups, and has developed strategies to facilitate success. 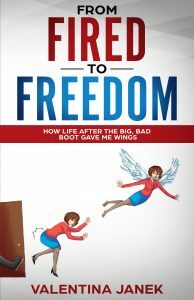 From Fired to Freedom ~ How Life After the Big, Bad Boot Gave Me Wings. Eileen Lichtenstein contributes to Janek's compilation of inspirational, engaging, and even funny stories from people who have received the proverbial "pink slip" and come out alive on the other side, better and brighter for it. Readers will see themselves and their struggles through the stories of others and know that their own journey - chaotic though it may be - can have the same positive results. 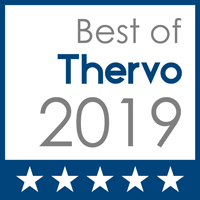 Eileen Lichtenstein is featured on the Thervo.com list of the The Best Life Coaches in the NY area for 2018. Featuring only the most qualified professionals in the area. 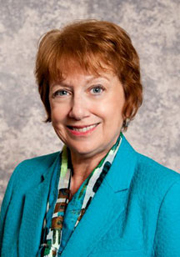 Eileen is a Certified Career and Mid-Life Coach with JobsOver50.com. She helps men and women find new career insights, encore career paths and, of course, job opportunities. An extraordinary entrepreneur and executive in the lifestyle and business coaching field with over 25 years of diverse professional experience in the field, Eileen Lichtenstein has enjoyed an enormously successful career leading to her inclusion in the exclusive network of premier professionals with Stanford Who's Who. She specializes in the provision of executive and lifestyle coaching services designed to help people to succeed in their personal and professional development. 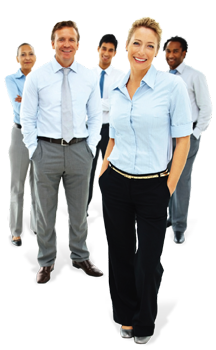 She offers a comprehensive range of products and services to assist clients in becoming well-rounded individuals as well as organizations in becoming successful entities. By Eileen Lichtenstein, MS. Ed.